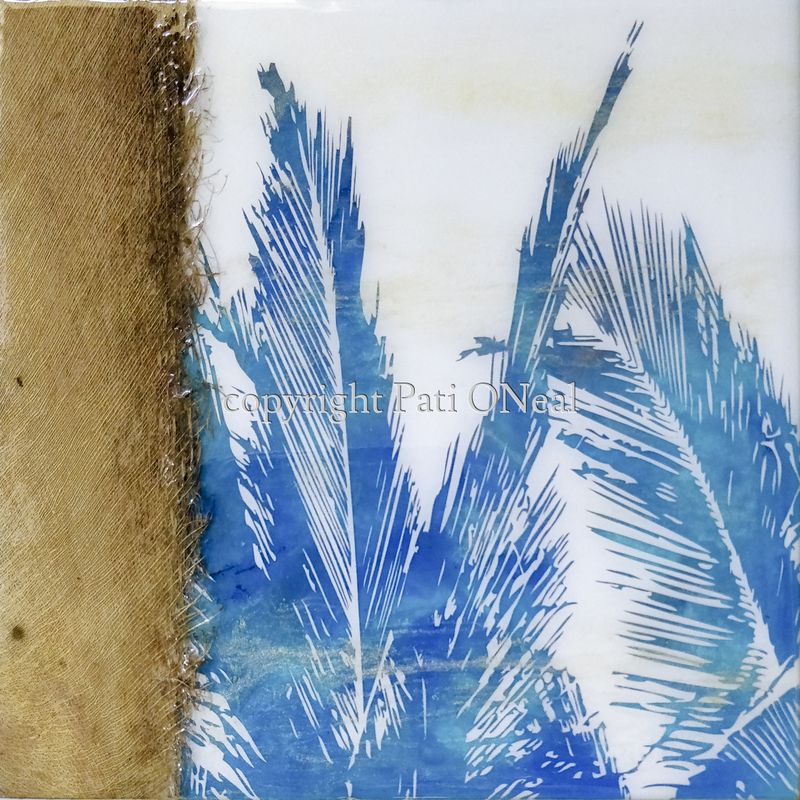 Cool crisp blues and whites of summer are captured in vertical coconut tree fronds, then floated with an ethereal layer of shimmering gold mimicking sunshine, then accented with guinit (coconut tree fiber). The final appearance is created through the application of multiple layers. This original work is currently available at Sunshine Arts in Kahalu'u, Oahu. For a similar commission contact the artist.